2 Light Crystal Wall Lamp. The Cherie crystal wall lamp is flooded with the highest quality K9 crystal available with a 30% full lead oxide content. As you gaze upon the precision machine cut and polished trimmings, you will identify the pure optical clarity and myriad of colors. 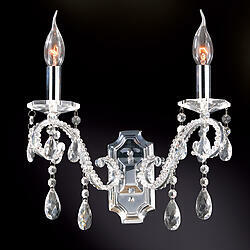 The enduring iron frame integrates well with the fine crystal as it is finished in a high polished chrome plating. 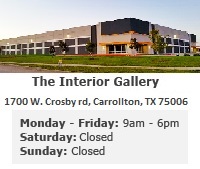 You can see that The Interior Gallery will never compromise quality while we still maintain our factory direct prices. 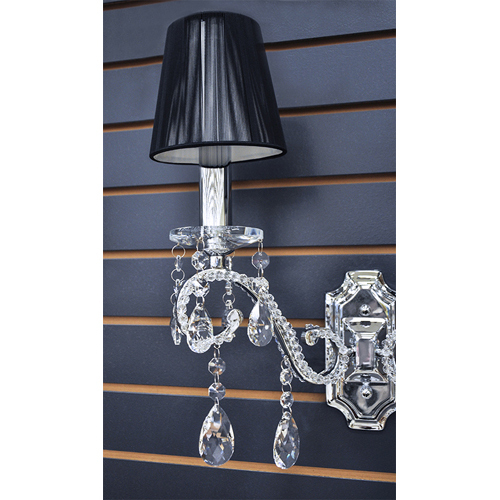 This classy crystal wall sconce has a compilation of modern and traditional elements that will appeal to every sort of design taste. 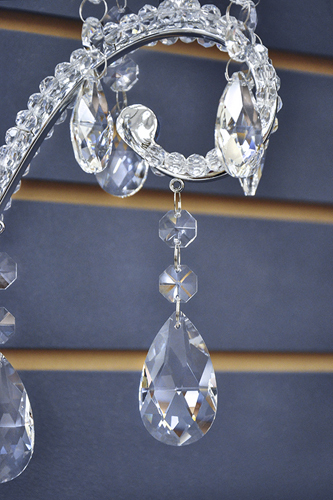 Every detail has been taken into account in the conception of this crystal wall sconce. All lighting fixtures come UL certified and are qualified to be enjoyed in all commercial or residential spaces. Light up a darkened space with the 2 candle style lights. The Cherie light posts can accommodate 30 - 60 watt light bulbs. 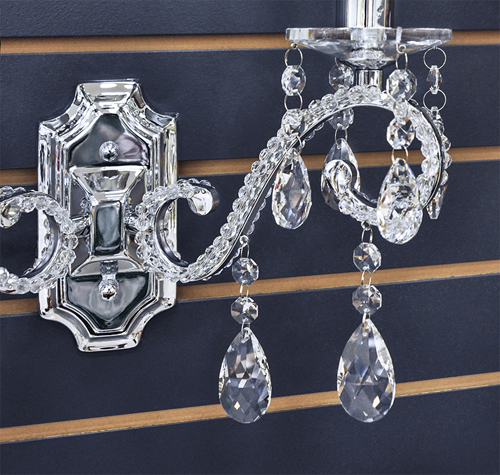 This dashing crystal wall sconce will certainly add drama and functionality to any wall that might be lacking.